Our 1-Day floor coatings are pretty awesome. These floors have become wildly popular, and for several very good reasons. If you head over to our Facebook page, you can see some of or most recent garage transformations. We realize that there is a lot of information floating around the internet regarding concrete floor coatings. However, not everything you read on the internet is true. To help you start your research, we’ve compiled a list of things you might not know about our floor coatings. High quality floor coatings do look expensive. Often, these floor coatings are shown in fancy garages with luxury cars. This doesn’t mean that they are exclusive to high end homes though! We are Penntek certified, and this helps us offer competitive pricing for our floor coating system. Our 1-Day floor coating system is designed for regular people, with regular homes. Although you might be tempted to grab a DIY floor coating kit, it won’t last as long, and it definitely won’t look as good! We have a very rigorous preparation process to ensure that your floors will withstand the test of time. Plus our floors come with a 15 year warranty! This adds even more value to your project. When you’re walking through your local hardware store, you may see options for DIY concrete floor coatings. Although these may seem like an alluring option, but once applied, the quality may be lacking. Plus, each of our systems are applied by a highly trained team! This means that the end result will look professional, and will hold up under constant use. We can see why it would be easy to think that this coating is paint, however; this couldn’t be further from the truth. To learn more about this system, you can head over to one of our recent blog posts that we wrote on the topic. Did you know that there is a LOT that goes into the prep work before we can start applying your floor coating? We start by sealing all of the cracks and dips in the flooring, and then sand everything down into a smooth even surface. Without this step, the floors will be uneven, and since the floor coatings are waterproof, water could otherwise start to pool. Plus, the polyurea layer will not bond to the concrete if it is not properly sanded and prepped! While some coatings, such as epoxy floor coatings and DIY kits need to be replaced every 3-5 years, this doesn’t apply to Penntek floor coatings! Our floor coatings come with a 15 year guarantee. Because they are waterproof, UV and stain resistant, our floor coatings do not fade, peel or crack. They hold up inside and outside. There is no need to replace these floors to keep them looking their best. They were designed to withstand the wear and tear of heavy use, and this is one of the reasons people love to use them on their garages, driveways and basements! 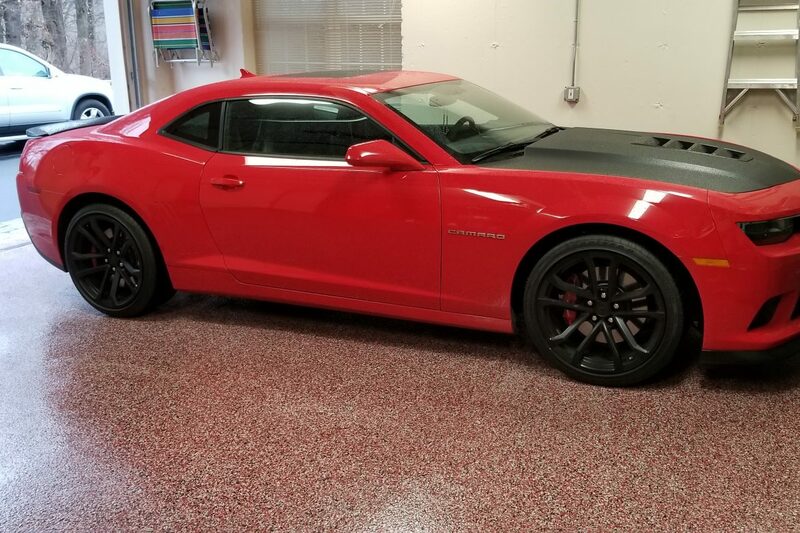 Of course, for the best looking garage floors in the neighborhood, you need the right team for the job. AG Williams has been in the painting industry for over 100 years . 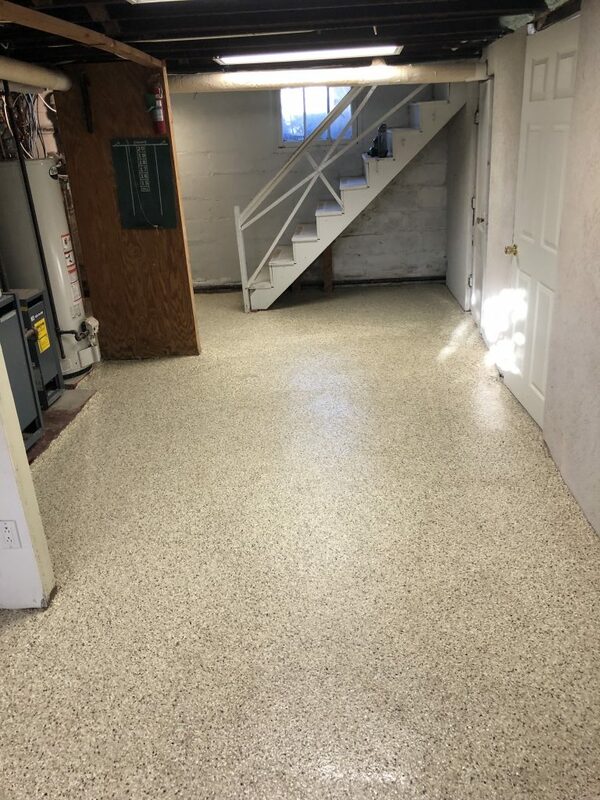 We are Penntek certified and each of our team members has been trained on the best practices for prepping your floor, and applying the concrete coating. Head over to our Facebook page to read what others are saying about our 1-Day floor coating system and when you are ready, reach out to our team for an estimate!